- exchange *some* currency at a good, independent currency exchange place at home. In Calgary, I often see Calforex branches recommended as having the best rates (downtown and Chinook Centre). Another one that is often recommended is Canex Forex in Eau Claire. calgary, yyc, articles, credit cards, travel rewards cards and no foreign exchange fee credit cards. 12 Responses to "What is the best way to exchange money or pay for things in a different currency?" Is it better to exchange usd in Canada or exchange when we get to U.S? 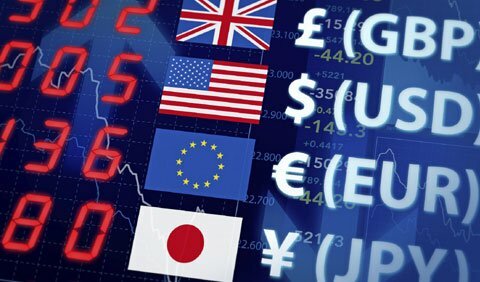 Asi: I would say that assuming you exchange your money in Canada at a place with the best exchange rates (such as Calforex in Calgary), it's unlikely you'd do much better exchanging it in the U.S. The story can be different for more exotic currencies, where you might be better off waiting until you get to the destination to exchange. But for $USD, being so common, the rates here in Canada (at competitive exchange places) are about as good as it gets. Thanks for this! Not sure how I missed the original post but just ordered the Scotiabank card. Just an FYI that the 25,000 point offer looks like it ends on June 30th, so all applications have to be submitted by then to qualify for the offer. Just in time for our trip to Florida in July! Guess I have more of a ? I heard going through the Canadian Snowbirds association currency, To have them deposit monies $ to your US account you get a better rate as well. For people whom go to the US for six months out of the year. Have you heard of this? Thank you for the great post. What's your opinion on getting Japanese Yen? Should I buy it in Calgary or in Japan? I would think Japanese Yen would be common enough that a place like Calforex could offer pretty competitive exchange rates. Not sure about local banks. When you try the order form on the Calforex website, it shows what they're using as the exchange rate. When I compared it against today's 'true' exchange rate from XE.com - it seems pretty competitive. Let's say the XE.com calculator shows 25,000 Yen equaling 295 Canadian. I would then multiply 295 by 1.025, and add another $6, for a pretty good idea of the best you can probably hope for, at a good exchange place in either Japan or Canada, or from an ATM withdrawal in Japan. So in this case, 295 x 1.025 would be $302. And then add $6. So $308 Canadian being the best total price one could realistically achieve to purchase 25,000 yen at today's rates. You can then call Calforex and ask how much 25,000 Yen would be, and see if it's close to that number. Each branch sets their own rates. I can't say I had heard of the Canadian Snowbird currency exchange program, but I took a look and it seems legitimate. My best guess is that being a not for profit organization, it probably is a bit better rate than the banks usually give. You can compare that against the live rates from XE.com - if you add 0.025 to the live rate, and the Snowbirds are below that number, it's a very competitive rate. For example, today's live rate on XE.com is 1.31. Adding 0.025 to that, we get 1.33. And the Snowbirds are claiming to offer 1.327. Thanks for the info and websites, Chris! I used to go to Global Exchange and buy currency when the exchange rates were good, but GE does not exist any more. Doesn't Calforex want a high minimum transaction? In my research I found that AMA offers a not bad price to purchase. I am not a member though so can't use it. You're forgetting about cryptocurrency ATMs and trading networks; they have allowed me to travel without paying exchange rate fees using BCC or XBT to whichever currency. You only have to get to the ATM or meet the person at a public place like an LRT station. Forget about cards which make corporates even more rich -- use an open-source, cardless, decentralised solution! There are a couple of other options available for CAD to USD (and vice versa) conversions that avoid the FX fee. To exchange from CAD to USD without the FX fee, transfer online from Royal Bank CAD account (obtained in Step 1) to RBC Bank Georgia account (obtained in Step 3). If you want to withdraw this USD in Canada as cash prior to travelling, you can transfer from RBC Bank Georgia to your Royal Bank USD account obtained in Step 2. * Note that you should not transfer from Royal Bank CAD to the Royal Bank USD account as that will have the FX fee. To exchange USD to CAD, transfer from RBC Bank Georgia to Royal Bank CAD. Again, do NOT transfer from Royal Bank USD to Royal Bank CAD as that will have the FX fee. Another way to avoid FX fees is to use "Norbert's Gambit", which is, in essence, using the stock markets to convert currencies. This is handy for larger sums. I also have the Home Trust preferred card for purchases in currencies that are not CAD or USD and I like the cashback, roadside assistance, and no annual fees. I use all three of the above techniques to avoid the FX fees like the plague. Hope you all find these suggestions helpful. The Cheapest way I've found to change money to the Philippines is to remit it. It costs me $10 for however much I want to send, and I can pick it up when I land. There's a way to remit it to a certain place, but if you have a close Filipino friend or loved one, you can send it to their bank. That's what we do when we travel, as my fiancé is Filipina. Exchange rate is equal (or sometimes better) than XE, and if you're changing $1000 it only equals 1% you're paying.